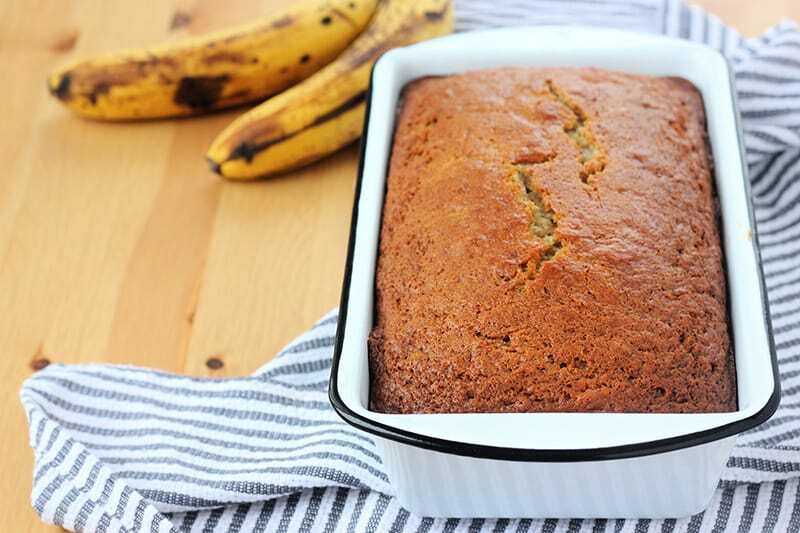 The very BEST Banana Bread Recipe. 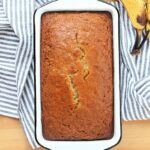 This bread is moist, light, and loaded with banana flavor! It is the perfect sweet bread recipe! Homemade banana bread is a recipe I have been trying to perfect for years. No matter how many bananas I used I could never seem to get the right flavor. Until now. This recipe rivals even my grandma’s tried and true version! 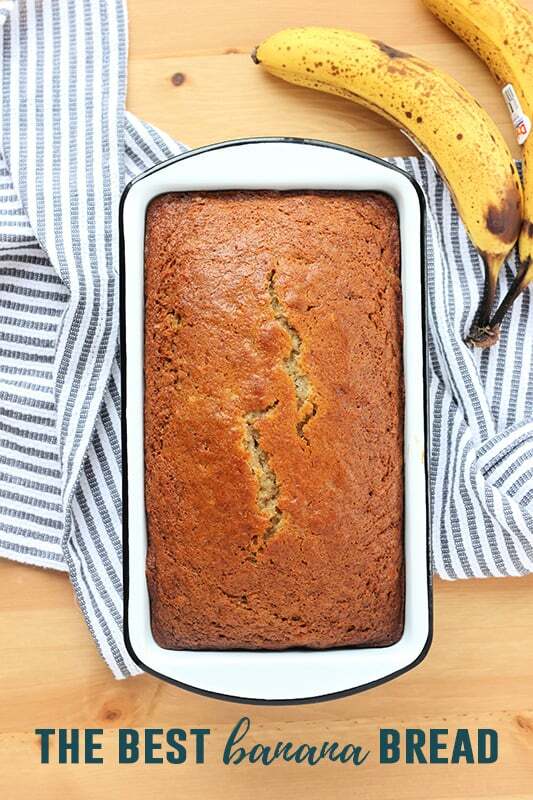 It is loaded with flavor, super moist, and the perfect way to use overripe bananas! The addition of cinnamon and nutmeg send the flavor over the top. TIP: Make sure your bananas are overly ripe. They are easier to mash, making them easier to incorporate into the batter, and add the perfect level of sweetness! This is my favorite tips for this recipe.. Smashing bananas is not super difficult, but using a zip top bag makes everything a bit smoother. 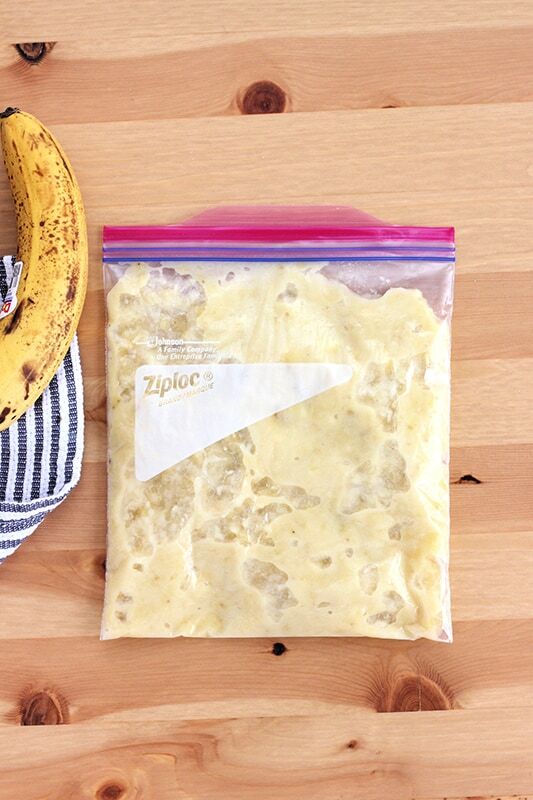 Peel your ripe bananas and place them into a zip top bag. Close the bag, making sure to remove as much of the air as possible. Smash the banana with your hand until completely smooth. 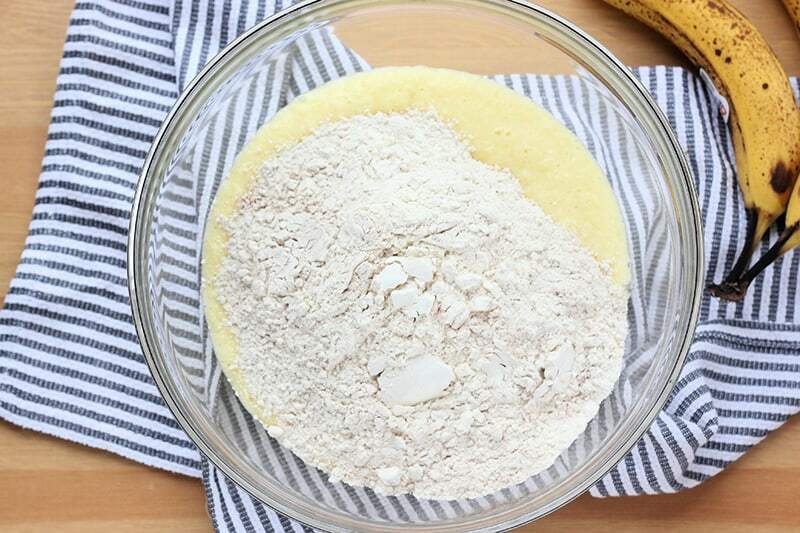 Cut off the corner and squeeze into your batter. Mix by hand. Sounds simple enough but I know how appealing it is to dump all of the ingredients into your electric mixer. Trust me and stick to a good ol’ spatula. Hand mix and only mix until your ingredients are just incorporated. It is 100% ok to have lumps in the batter. 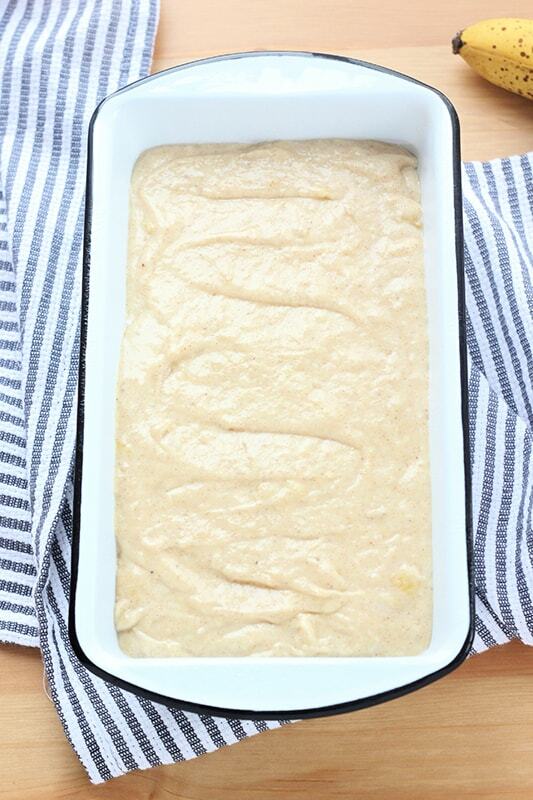 Over mixing can cause the bread to be dense and rubbery, which is never a good thing. Can you make banana bread into muffins? Yes, my friends, you definitely can. Make the recipe below all the way through step 5. Fill each cup until 3/4 full of batter. Bake at 325 degrees for 20 minutes or until a toothpick comes out clean. Preheat your oven to 325 degrees. Grease 1 loaf pan. Whisk together the flour, baking powder, baking soda, salt, cinnamon and nutmeg. Set aside. Combine the soft butter with the sugar in a large bowl. Whisk with a hand mixer until fluffy. Add the eggs and vanilla extract and mix until combined. Fold in the bananas with a spatula. Fold in the dry ingredients and yogurt until just combined. Make sure you do not over mix the batter. Pour into your prepared loaf pan. Bake 30 minutes. Cover with foil and bake an additional 30 minutes or until a knife comes out clean. This post was originally published February 17, 2013 and was updated March 27th 2019. 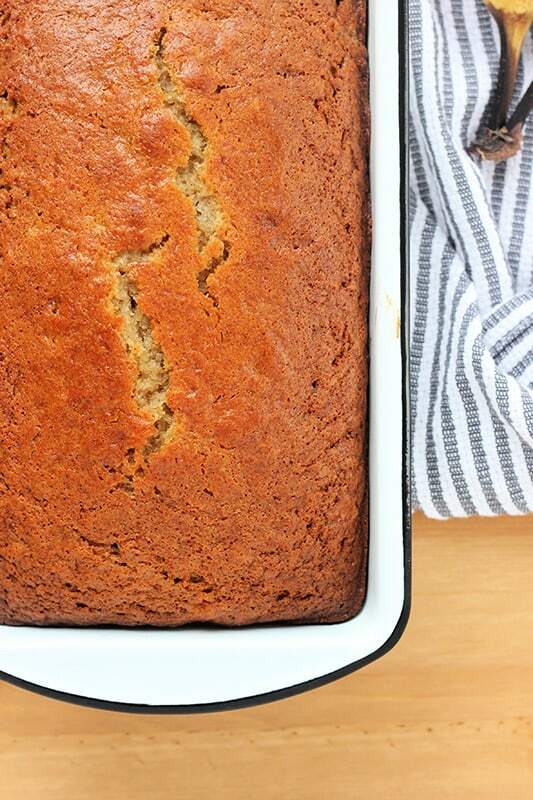 I love banana bread so you might have to help me come up with a good gluten free recipe. My kids love it too! I made this last night. I can honestly say it’s the best I’ve ever had. Loved it! We love this recipe. So glad you enjoyed it as well. We had some leftover banananas. Saw this on pinterest and decided to give it a try. Honestly the best bread we have ever made. saving the recipe.